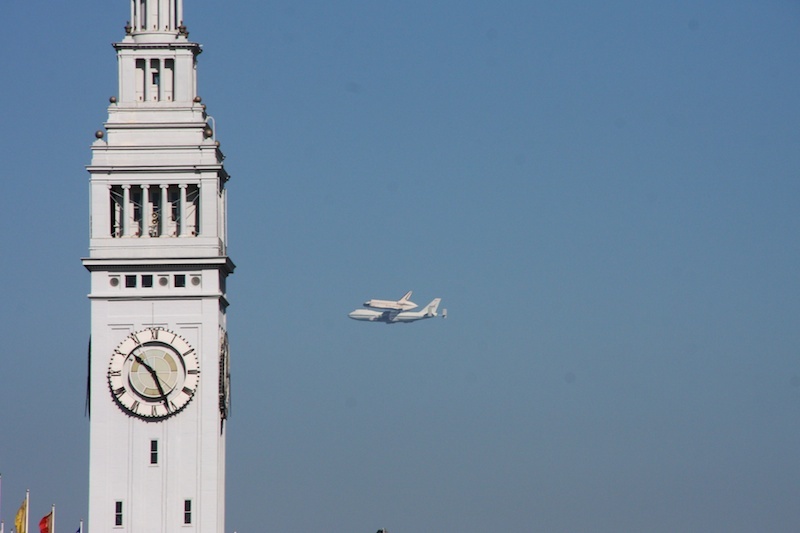 The shuttle was scheduled to fly over San Francisco around 9:30 Friday morning. 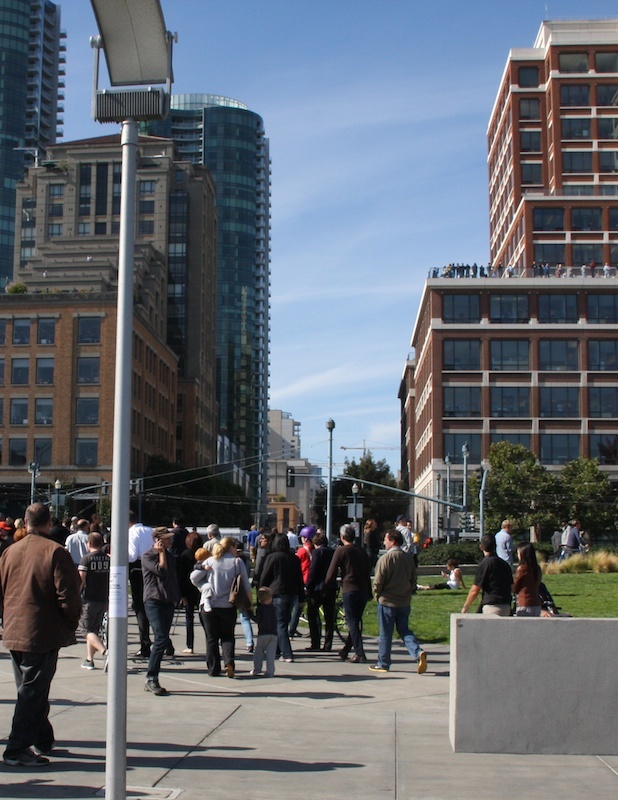 I walked to the waters edge and waited with a couple thousand other people. All of us looking towards the skies or checking live twitter feeds to get a better idea when it would arrive. We all waited patiently for another hour or so before someone yelled: "There it is!!" We expected it to come from the north, but it came from the opposite direction we were all facing. 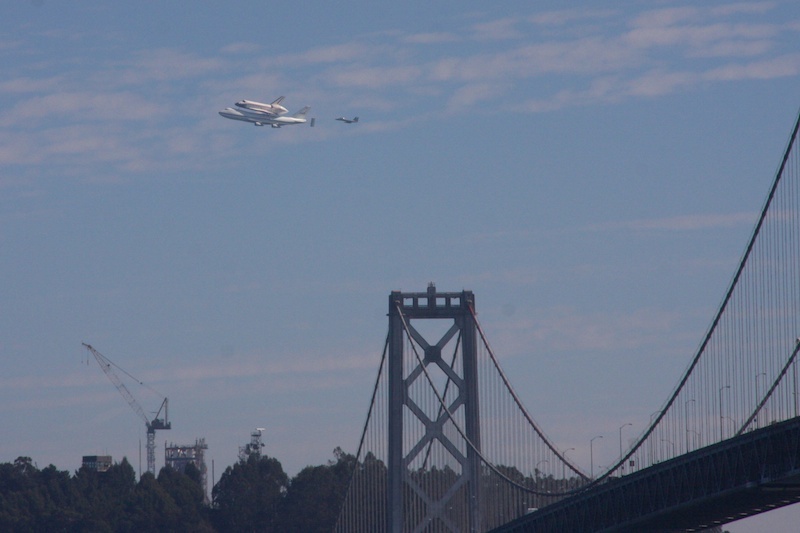 But we had plenty of time to watch it fly over the Bay Bridge. 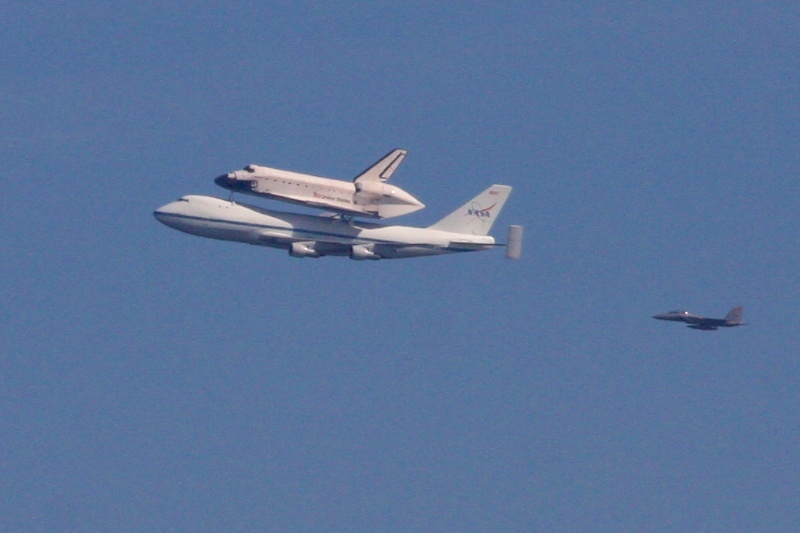 It was hitchin' a ride on a NASA 747 Transporter, flanked by a fighter jet. 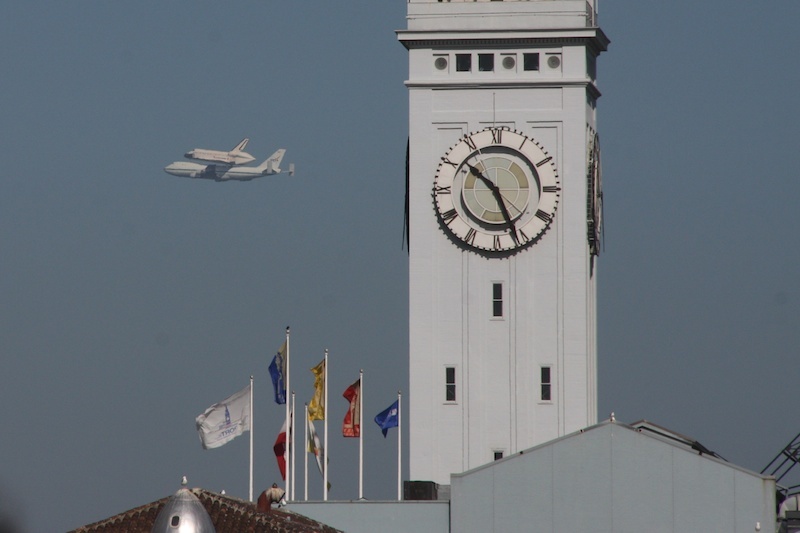 It flew low and slow, at 10:25am, as the Ferry Building clock can attest to. 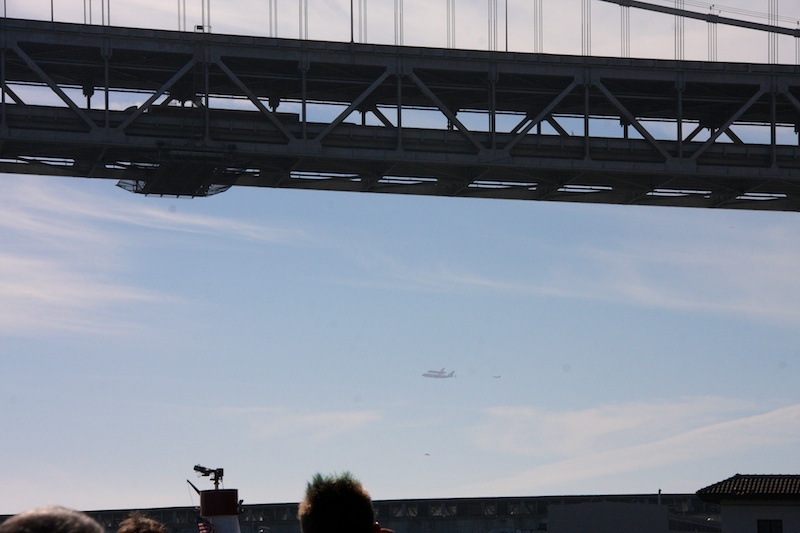 Then headed towards the Golden Gate Bridge where thousands more were watching it fly over our more famous bridge. Then it was time for everyone to head back to work. 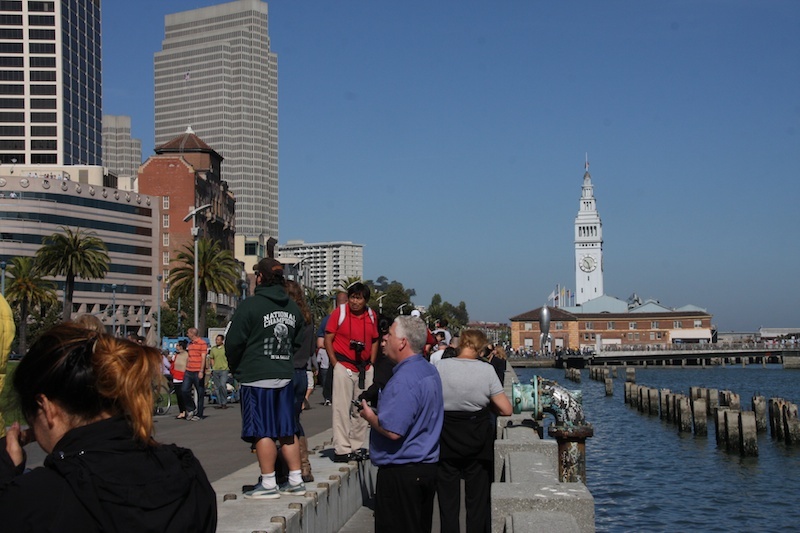 It's kind of amazing that for a little over an hour, it appeared that work stopped completely in San Francisco. I am as excited as if I had been there with you and seen it myself.... if that makes sense! OMG! I can't believe you got those incredible pictures. I had just read about the flight over at Sham's site, so this was the frosting on top of the cake. You lucky woman! Lucky you. It must have been really special.